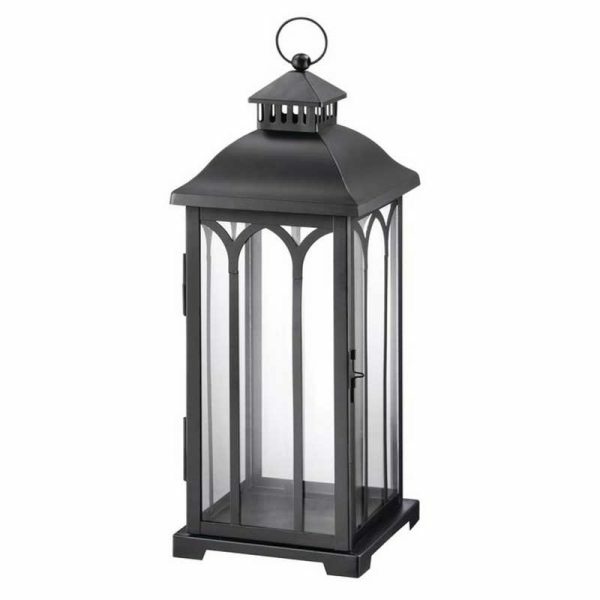 Metal Lantern in Black - VGGIFT | is a very good gift Supplier. The Metal Candle Lantern in Black makes a lovely addition to any garden, patio or balcony. 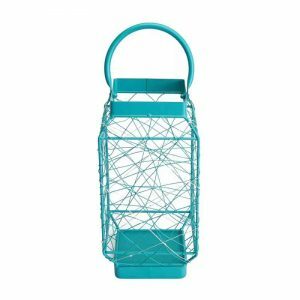 It holds a 4 in. 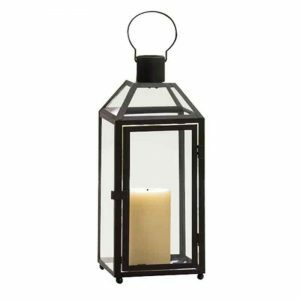 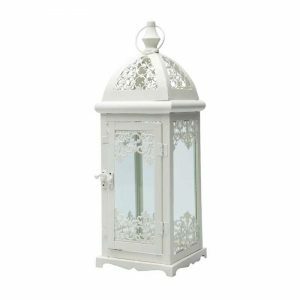 or smaller pillar candle (sold separately) and can be set on its base or hung from its top handle, adding a dash of sophistication to any indoor or outdoor living area. 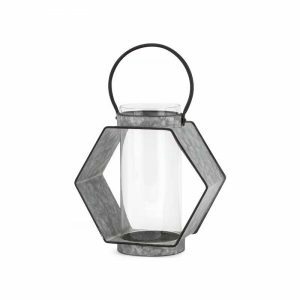 It’s constructed with traditional black metal and flat glass to form a sparkling accent piece, whether used functionally or aesthetically.